Stryker Orthopaedics has warned surgeons that it has recalled several hip implants after patients reported several health risks that can be linked to defective flaws in the device’s design. Several models of its LFIT V40 hip systems sold before 2011 were the subject of the recall. As a result of the recall, patients may need to undergo blood tests and X-rays to determine whether the implant must be removed. Stryker fast-tracked these devices through the FDA and heavily marketed them to surgeons as safe, reliable artificial hip replacements. However, reports of failures and injuries quickly surfaced. In many cases, the cobalt and chromium heads of the LFIT V40 can corrode, causing to the head to separate from the rest of the implant. In many cases, immediate surgery is required to remove the implant. In other cases, corrosion has caused the implant to release dangerous metal particles into the patient’s body. These particles have been known to cause metallosis or metal poisoning. Patients who have been diagnosed with metallosis will require revision surgery to remove the faulty implant and its toxic metals. A Stryker hip implant lawyer at Cellino & Barnes says the defective devices are used in total hip replacement procedures and those who have a defective implant likely received a letter in the mail from your doctor or the manufacturer. If you haven’t received a recall notice but suspect you have a defective implant, contact us now and our Stryker hip implant attorneys can help you get the information you need. Our experienced team has prosecuted the manufacturers of many defective devices – including faulty hip implants. We can conduct a thorough investigation and aggressively prosecute the manufacturer that caused you and your family pain and suffering. 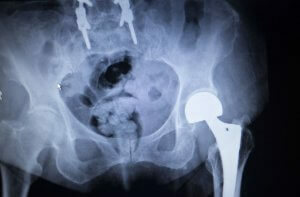 Call us today or contact us online for a FREE consultation with one of our experienced Stryker hip implant lawyers.